Mwaahahaha, I was mostly, kinda right. So, please: Vatas and kaphas use sesame oil. Pittas can also use sesame unless their pitta is high, then they should use coconut oil or ghee. I also really like the Daily Swish from Banyan Botanicals. Sesame + coconut oil combo, plus other herbs that are great for oral care AND it's a bit minty! Got that? Easy? Ok good, carrying on. 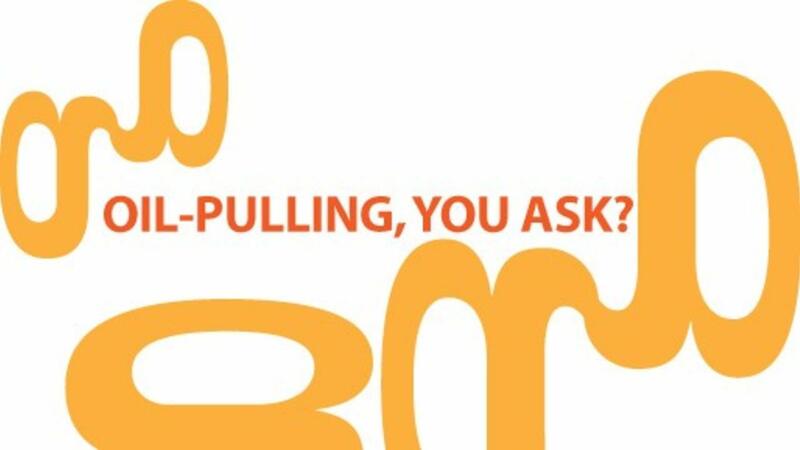 How do you oil-pull as a daily practice? • Scrape your tongue with a tongue scraper seven times to get off any night crud, check for ama. If there is ama, do not put oil in your mouth. Head straight for warm water and ginger tea. Drink up and do not eat until your tongue turns pink, try again tomorrow. • 1 Tblsp sesame oil in your mouth. • Slowly swish between the teeth 10 minutes and do not swallow any of it. Note: It's not vigorous mouthwash swishing. Think of it like sucking and spitting between your teeth slowly. • When done spit in sandwich baggie. In addition, there are specific herbal mixes practitioners cook up with the different oils and use it as medicine! But that's unique to each person and each condition just like everything else in Ayurveda. 1) If you are the sciencey type and curious about text-book info about oil-pulling, check out this post from Todd Caldecott. He's probably trying to clear up misconceptions too. 2) Dr. John Douillard has a great video and article about oil-pulling. 3) The most trusted and ancient text of Ayurveda, Charaka Samhita, says (from Dr. Douillard's article): Keeping of oil gargle provides strength in jaws and voice, development of the face, maximum taste and relish of food. One does not suffer from dryness of throat, lip cracking and teeth become firmly rooted. The teeth do not ache or become sensitive and can chew the hardest food items. Traditional oil-pulling does not claim to cure anything crazy. It's just a part of Ayurveda's daily health practice for prevention, which is AWEsome! HOHkay. LOVE YOU and your swishy teef.